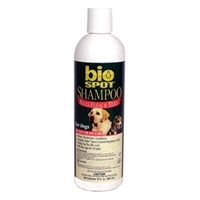 Bio Spot® Shampoo for Dogs & Puppies is designed to cleanse and eliminate fleas, ticks and lice on contact. It also contains an IGR to prevent reinfestation for 28 days. 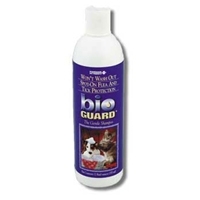 Bio Guards gentle, water-based formula lathers up quickly, rinses out easily, yet wont wash out the protection of your pets flea and tick control. 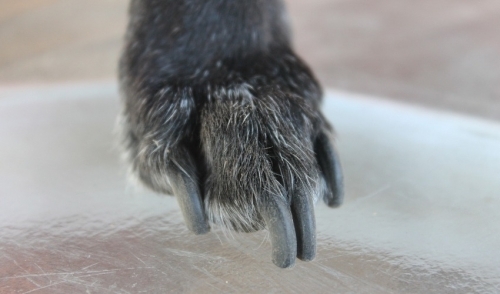 Non-irritating, pH-balanced formula cleans and conditions the coat and leaves a fresh, clean scent. Safe for dogs, cats, kittens and puppies of all ages. Safe for people, too.